A LONG-STANDING Ponteland Chinese restaurant is moving into one of the area's most iconic buildings. But owner Kevin Liu has stressed that while there will be changes to the inside of the former Smithy Bistro when it re-opens as The New Rendezvous, the external features will remain the same. The New Rendezvous has been based at The Broadway in Darras Hall since 1985, however its lease coming to an end meant Mr Liu started to look for possible new premises. 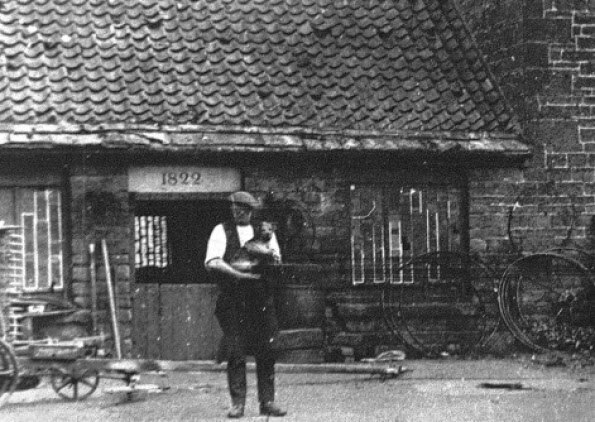 And his family restaurant group recently bought the Smithy Bistro site, which was used as a workplace for blacksmiths for many years up until the 1950s. "It will be sad to leave The Broadway and it will be emotional on our last day there (February 19)," he said. "But we are looking forward to the move. As well as reducing our overhead costs, we are going into a building with more character. "When we were looking for new premises, we definitely wanted to stay in Ponteland because it is the natural home for the restaurant. "We are also well known in Northumberland so it made good business sense to stay in the town. "The menu will be the same, but it will be nice for us to reward the people who have supported us for a long time with more space and more comfort in the new restaurant." Fitting out work is currently taking place inside the listed building, which includes removing one of its walls, as well as a stone column and two fireplaces, to form new openings. The decoration and carpets will be changed and there will be two light fittings on the rear wall to illuminate the area around the car park. Mr Liu added: "It will look new on the inside but there will be no changes to the outside of the building. "We will keep the original smithy features that are still there to maintain the building's history. "School groups go there to have a look around and we want that to continue." Since opening The New Rendezvous, Mr Liu's group now has restaurants in Newcastle, Corbridge and Morpeth (Mulan). The relocated Ponteland eatery will open on Wednesday, February 23.